TEBOW TAILS~Caspar’s Conquest is not your typical children’s picture book in that it includes much rich descriptive language/high end vocabulary. As a prior elementary age teacher, I believe that children in today’s society will grasp the vocabulary using the context clues and illustrations accordingly. And, the story provides parents/adults/educators/teachers many opportunities to introduce new vocabulary/fun words and definitions along with many teachable moments. The idea of using strong rich descriptive language/details makes this children’s book slightly atypical in the current market place. But, most of the classic children’s picture books have vibrant language such as Dr. Suess, Berenstein Bears, Winnie the Pooh, Arthur Series, Mark Teague Books, Dav Pilkey, and Kevin Henke. I modeled my definitive narrative on those authors and illustrators because they are entertaining to read for both children and adults and always have a life lesson. A children’s picture book is meant to be read aloud and shared between students/children and parents/adults/teachers/educators. Read-a-louds are crucial to a child’s development, learning to read, expanding vocabulary, reading skills, and writing skills. 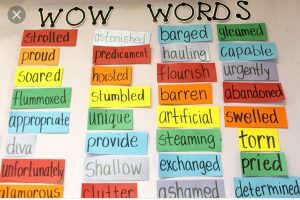 As a teacher/parent reads with the student/child, ask them to watch for new vocabulary words. 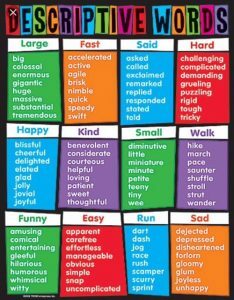 How do these words describe things in a very descriptive way? Have them use clues in the illustrations and the text/context clues to figure out what the words mean? Caspar contemplates how to confront Hunter and hears the rumble of Tebow’s nose in the background. The above text from Tebow Tails~Caspar’s Conquest has two new vocabulary words; contemplate and rumble. Both of these words can be figured out by the child when he/she reads the context clues and observes the illustration. Caspar is in a “thinking” type of pose “contemplates” and Tebow is sleeping in which the “rumble of Tebow’s nose” would mean he is “snoring”. 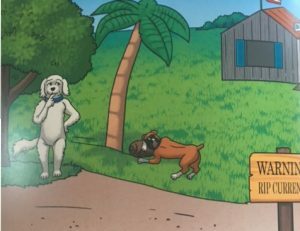 The children and adults who have read the book love the illustrations, story line, rich descriptive language, educational opportunities, and of course, Tebow, Caspar, and the dogs. Reasons to recommend a book is the author uses WOW WORDS that are fun to read.